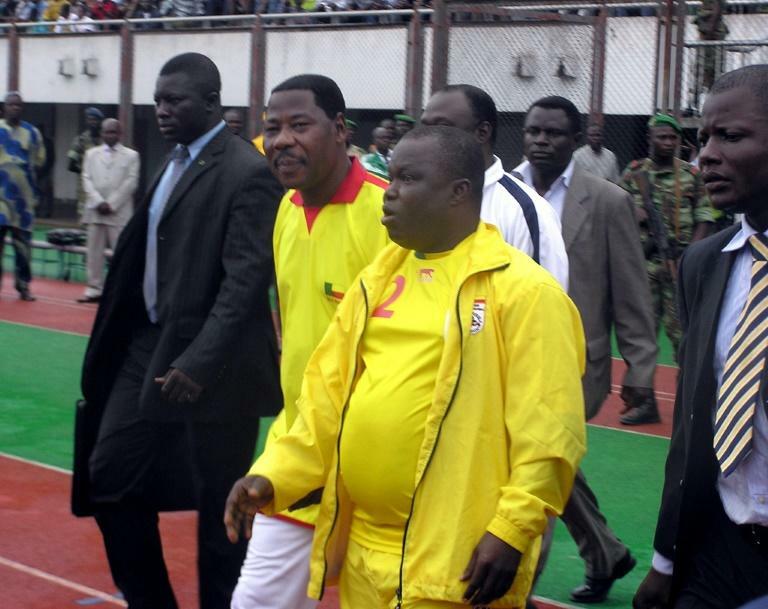 Former Benin football federation president Anjorin Moucharafou has been arrested on suspicion of theft, judicial sources said on Tuesday. Musharraf was "arrested by members of the police" for a case under investigation and relating to a theft of sports equipment, a judicial source told AFP. It has been a week of turmoil for the sport in the west African country after 10 under-17 players were accused of lying about their age. The 10 youngsters were all intercepted by police on Monday as they disembarked a plane from Niamey, Niger, after being kicked out of an Africa Cup of Nations qualifying tournament. They were accused of forgery and use of forgery. New Benin football federation president Mathurin de Chacus has reacted to the youth-team scandal by suspending all of the federation's staff pending the findings of an investigation. "This is a very serious situation," said De Chacus, who has only been in the role for less than a fortnight. "The sanctions will be very heavy... Ten players have been found guilty of fraud regarding their age," said public prosecutor Mario Metonou. Two Ivorian footballers have also been suspended from the qualifying tournament for lying about their age, as well as one player from Niger and two Nigerians.